Research shows that behavioural email marketing is a powerful technique to automatically follow-up online customer actions to help increase conversion to sale at a low cost. However, the technique is still used by relatively few companies. One barrier to setting up these event-triggered email sequences is the time it takes to specify the sequences if it’s a new approach to the company or agency. Who will find the spreadsheet useful? It can be used to agree communications goals between marketers and then brief specialist copywriters and designers. The guide was produced by Dave Chaffey and reviewed by Tim Watson. It’s based on a ‘tried-and-tested’ approach originally developed by Dave Chaffey 10+ years ago when consulting with travel, retail and financial services businesses and updated through work with recent customers. What does the spreadsheet include? 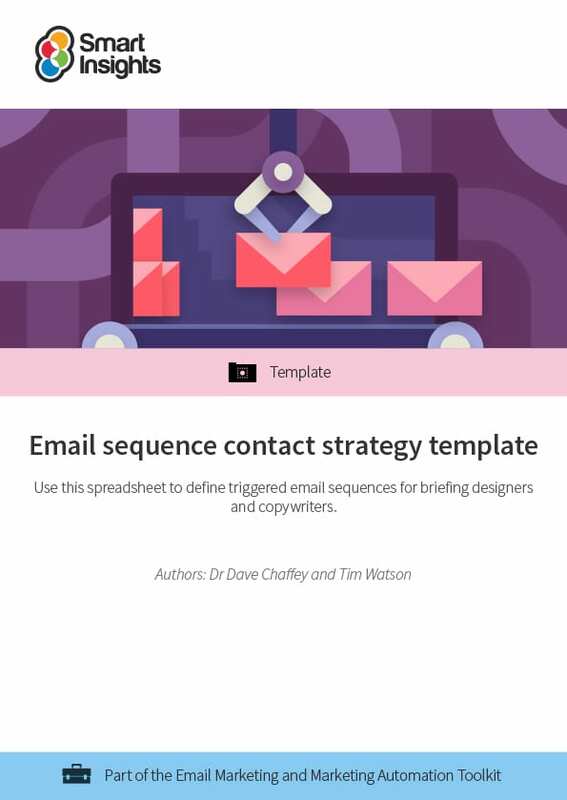 You can read more about how to plan email sequences in this introduction. 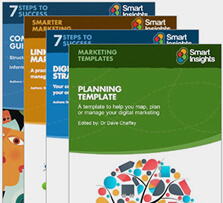 Individual and Business members get full access to this and 15 other guides in the Email marketing and marketing automation Toolkit.